Professor Aidan W.F Halligan MA, MD, FRCOG, FFPHM, MRCPI, FRCC (17 September 1957 to 27 April 2015) was an Irish doctor and NHS leader. Aidan was renowned for courageously challenging the status quo in healthcare. He confronted bullying and harassment and championed a culture of high quality care delivered by well-led teams. ‘Doing the right thing on a difficult day’ was his mantra. He was a celebrated and inspirational orator, speaking without notes, with warmth and humour, often saying that “people will forget what you have said, people will forget what you did, but people will never forget how you made them feel”. Professor Halligan died of a heart attack at his home on 27 April 2015. Aidan grew up in Templeogue, Dublin. He and his wife, Dr Carol Furlong, qualified from Trinity College Dublin in 1984, after which he began his internship at the Royal City of Dublin Hospital. He continued his medical training at St James Hospital, the Rotunda Hospital and the Mater Misericordiae, achieving an MD and MA from Trinity College Dublin in 1993. He moved to the University of Leicester and Leicester Royal Infirmary in 1993 rising from Lecturer and Senior Registrar to Professor of Fetal Maternal Medicine in 1997 to become the youngest professor of his specialty. 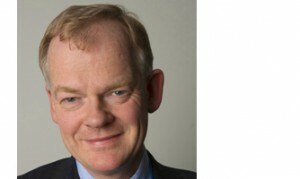 Between 1999 and 2006, Aidan held a number of high profile NHS appointments: Head of the NHS Clinical Governance Support Team, Director of Clinical Governance for the NHS and Deputy Chief Medical Officer (6 January 2003 to 30 September 2005) where his focus was on safety and quality of healthcare. In 2004, he turned down an appointment with the Irish Government as the first head of the Health Service Executive. In 2006, with the freedom to try out new ideas, he ran Elision Health Limited, an innovative training establishment in Leicester where surgical and multi-disciplinary teams could develop their leadership skills. In 2007, Aidan was appointed Director of Education at University College London Hospitals NHS Foundation Trust where he was responsible for curricular and non-curricular education across the trust. He commissioned a state of the art simulation or “Learning Hospital” Education Centre designed around human factors education with the aim of improving quality of healthcare and team leadership. From 2008 to 2013, Aidan also held the post of Chief of Safety for Brighton and Sussex University Hospitals, the first position of its kind in the NHS where he encouraged staff to speak up for those in their care, and for each other, and to focus on great bedside care. He appointed the first independent Patient Safety Ombudsman with a whistle blowing remit across the hospital. The death of a homeless man outside University College London Hospitals NHS Foundation Trust resulted in Aidan establishing a specialist homeless healthcare team with a philosophy of combining personalised care with holistic services. In 2009, Aidan founded and chaired the independent homeless healthcare charity, London Pathway (renamed Pathway in 2010), which focuses on improving the health of the most excluded. By 2015, there were ten Pathway teams in ten hospitals throughout the UK. During this time, Aidan visited the field hospital at Camp Bastion in Afghanistan, where the international hospital was led by British regular and NHS reservist doctors and nurses. Aidan returned to England determined to replicate the leadership and cultural experience he had witnessed. In 2010, Aidan launched the NHS Staff College, an initiative bringing together an expert faculty of experienced military, NHS and business leaders to deliver a unique brand of immersive and personally challenging leadership development programmes, with a vision to improve leadership across the health service. It was hosted by the University College London Hospitals NHS Foundation Trust. In 2012, the first devolved Staff College campus was started at Aintree University Hospitals NHS Foundation Trust in Merseyside. In 2013, Aidan was appointed Honorary Colonel of 256 Field Hospital in London. Staff College later incorporated as an independent charity, The Staff College: Leadership in Healthcare, with the backing of Public Health England, in 2016. It is dedicated to developing healthcare leaders and helping them to deliver better outcomes. The Staff College continues to host an annual Professor Aidan Halligan Memorial Lecture. Former speakers include Sir Robert Francis QC, Duncan Selbie, Chief Executive of Public Health England, and Brigadier Kevin Beaton OBE, Commander, 2nd Medical Brigade and Sir Ian Kennedy. In 2014, Aidan established Well North, a strategic collaboration between Public Health England, the University of Manchester and a range of partners in nine areas across the North of England. Well North, which is now led by Lord Andrew Mawson, seeks to reduce health inequalities and worklessness, a major cause of ill health, and to improve individual, family and community resilience. Memorial for Professor Aidan Halligan, July 2016 with moving tributes from Brigadier Johnny Wardle OBE, Dr Nigel Hewett OBE, Alex Bax, Professor Barry McCormick, Duncan Selbie, Trudy Boyce, Penny Heffernan and John Mackmersh. Halligan A. National Disgrace, The Big Issue 2009 Dec.